Hello fellow BackTrackers! Now that the brand new forums are active, I thought it would be fun to create a board about BackTrack and its development status! I'll be posting updates, hints, tips, and practically anything else BackTrack related, so keep an eye out! But this board isn't just for me, it's for you too! So feel free to converse, ask questions, and just have fun (as long as it's appropriate and relevant) ! !! !Also, my Soundcloud is now active :D !!! If you enjoy BackTrack's music, give it a look! I will be gradually posting each track over the course of a week or so. Just search "SpectralAves" in the main search bar and you'll find me! Evening BackTrackers! Since I finally have some time away from my classes, I thought I'de post an update :smiley: ! It's easy, I know :laughing: . 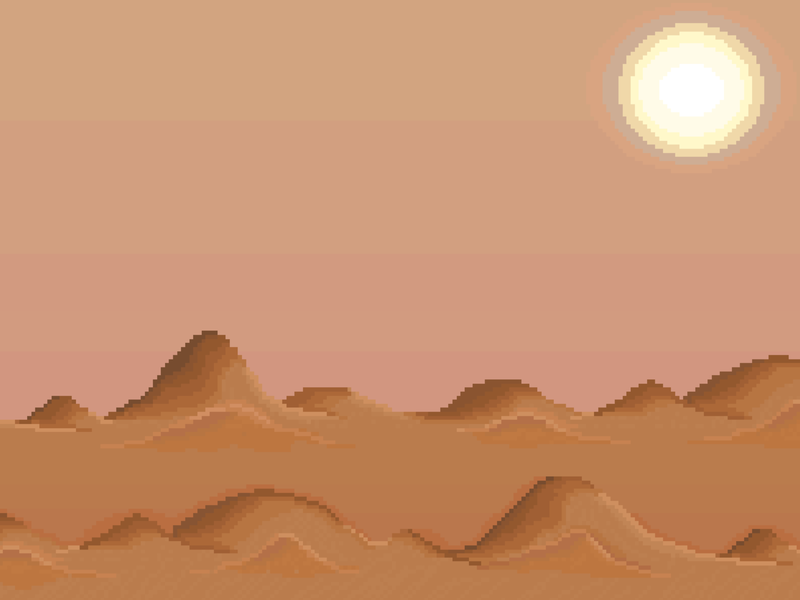 I've begun development on the final environment! I've already finished the music (which I will be posting on my Soundcloud soon), and I'm almost done with the foreground. What do you think? If you'd like to leave any feedback, I would greatly appreciate it! Look out for the next update in a few days, and don't forget to check out my Soundcloud if you like my music! You can find me @ SpectralAves! @SpectralAvesG5S what do you use to make your music? @SpectralAvesG5S Yay! Been looking forward to more BackTrack XD! Can't wait to receive the collab back soon, too! @iTap-Development I use an application called "DefleMask". It can almost flawlessly replicate the soundchips of old video game systems! BackTrack's soundtrack is actually made in the NES soundchip XD . Hello BackTrackers! As I have some more time away from doing college work, I figured I'de post the finished product for BT's newest feature! This is easily my favorite environment out of the 3! 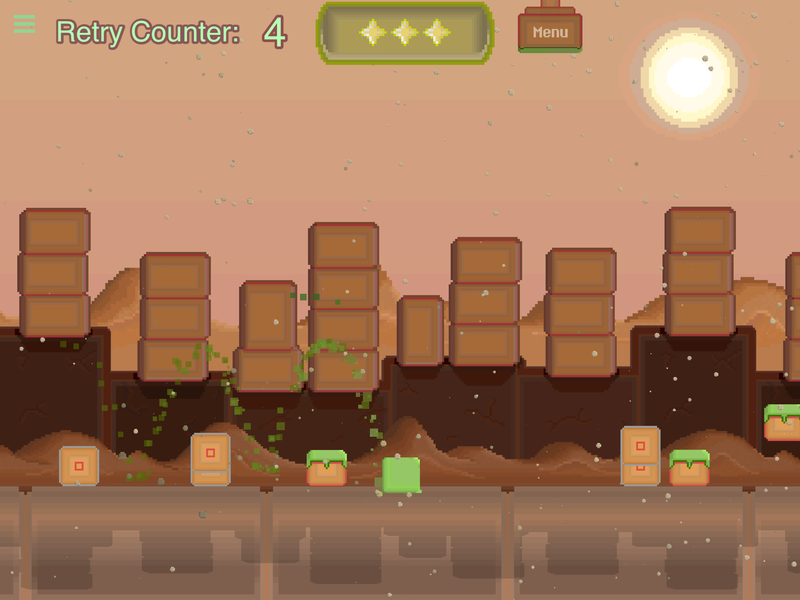 Sand is absolutely everywhere, and a vicious sandstorm is sweeping across the desert as you move through the level. Leave me your thoughts about what you think! It took me a very long time to make all the textures, and the level in general, so I'de love to hear your opinions on it! Pay no attention to the deleted post XD . That was my fault. Update time! Good evening BackTrackers! I hope you're all doing well today. I wanted to quickly post here in case anyone has any questions or reports on the update. So if you have any of the latter, just post them here. This might actually be my favorite update, as I'm very pleased with how the new levels and music turned out. So I hope you guys have as much fun playing it as I did making it!